DANEHILL EXPRESS (AUS) (Bay 2001-Stud 2008). 3 wins to 1600m, MRC Tupperware Cup S., L. Sire of 265 rnrs, 147 wnrs, inc. SW Properantes (WATC RJ Peters S., Gr.3), Wichita Linesman, Cougar Express, Express Service, Stagnite, Dream Lifter, SP The Cobbla, Danehills Daughter, Halo Express, North Ridge, Tenterden, Clarify, Lenience, Moonsearch, Helder the Painter, Rusty Peaches and of Lord Ludlow, Ain't Bad, Hard to Express, Bayella, etc. Shalo (g. by Danehill Express). 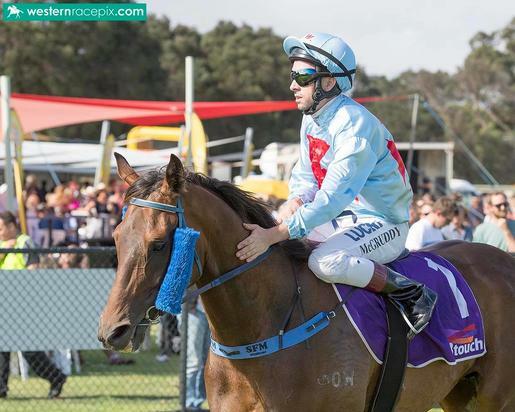 6 wins from 1200m to 1800m, A$217,390, WATC Magic Millions H., Book Now for Perth Cup Day H., Argonaut H., Tabtouch With Cash H., Get Westspeed Nominations in Now H., 2d WATC Dayana P., Tabtouch H., Tabtouch The Home of Racing & Sport H., Westspeed H.-twice, 3d WATC Westspeed 3YO H., Angela Davis Memorial H.
Oh Halo (f. by Oratorio). Winner at 2, WATC Site Logic 2YO P., 2d WATC Pink Royal Flush 2YO P.
Mass Effect (g. by Danehill Express). 5 wins. See below. Notta Mocha (g. by Danehill Express). 2 wins at 1500m, 1900m in 2017-18 in Aust. Orahalo (g. by Oratorio). Winner at 1600m in Aust. Modo Mio (g. by Oratorio). Winner at 1350m in Aust. Fa'lion Maschine. Winner at 1300m in 2018-19, WATC James Boag's Premium P.
Roaring Trade. Winner at 950m in 2017-18 in Aust. Kalastorm. 6 wins to 1300m, A$95,347, WATC Desert Hero H., Profiteer H., Seppelt Moyston Shiraz Cabernet H., Hubon H., Tarquin H., 2d WATC Time Conti Sheffield H., Jim's Bonnie Boy H., 3d WATC Cheeky Trot Welter H., Meeres Transport H., Rhythm King H., Winter Championship Heat Six H., Willoughby H.
Zoffanello. 2 wins at 1100m, 1250m, WATC Flametree H., 2d WATC Anzac H., 3d WATC Carnavon H.
SOMEDAY (Falvelon). 9 wins from 1200m to 1600m, A$646,050, to 2017-18, BRC Brisbane H., L, Bernborough H., L, SCTC Glasshouse H., L, BRC St Vincent's Care Services H., Kirks H., Sita Australia P., Mount Franklin Sparkling H., Ormiston College H., Kevin Ryan H., 2d BRC George Moore S., Gr.3, Strawberry Road H., L, 3d Qld Tatt's RC Mercedes-Benz Mile H., L.
Race Record: 19 Starts 5-2-0 A$70,345. 5 wins from 1500m to 1900m to 2017-18, 2d WATC Baking Association H.